Nothing says spring like marshmallow picking and egg hunts. Do Marshmallows really grow on trees? Come check it out for yourself and then roast your freshly-picked marshmallows at the bonfire with Farmer Bob. Healthy Kids Healthy Planet is the theme for our newest event. Bring your kids out to celebrate Earth Day and get active on our new Farm Ninja Obstacle Course, learn about eating well with our CSA, planting native species and more ways your family can be healthy together! Every dog loves a farm, so bring your pup to the Dog Days at Great Country Farms. You can have a romp with your furry best friends in the confidence course, test your pets skills in the training labyrinth, and be awed by the beauty of the orchards in full bloom. You could get Mom roses again for Mother’s Day. But why not get her something unique, like freshly cut spring asparagus and a day at the farm? Treat Mom to a picnic lunch from the Roosteraunt Bakery followed by wine with a view at Bluemont Vineyard. We’re mad about strawberries! And we celebrate with the longest running strawberry festival in Loudoun County. Jam to live music, compete in the pie-eating contest, pay homage to the Royal Strawberry Princess, and sample our strawberry delectables, including the not-to-be-missed Donut Strawberry Shortcake. Come learn about the importance of honeybees! Beekeeping expert Bill Bundy will be demonstrating honey extraction from the hive, and is happy to answer any questions you may have! Dads will love heading to the farm for Father’s Day, especially if he loves to fish. Compete in the Fish-a-Rama catch and release contest, play on the Farm, and enjoy time with family! Prizes are on the line for largest catch of the day and most fish hooked during the Power Hour. The beautiful Monarch butterflies need our help, or we might lose them forever. Come to this special event to learn about their lifecycle and how you can help rebuild their population. Proceeds support Loudoun Wildlife’s efforts to preserve local fauna. When the peaches ripen, we can’t help but celebrate! 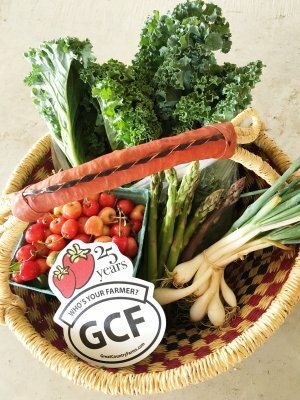 Join Great Country Farms, Bluemont Vineyards, and Dirt Farm Brewing for a weekend of contests, games, orchard tours and live music. Oh yeah, and we’ll have a few peach dishes to try – like peach pie, peach slushies, peach wine, Sum Peach craft beer, peach salad, peach pancakes, peach pork barbeque flat bread, peach ice cream, and more! Is your mouth watering yet? It’s time to get dirty! Fill up your tanks with hot-off-the-griddle pancakes and then jump on the wagon ride for some potato hunting in our U-Dig field. Did you know most potatoes in stores were harvested up to a year ago? If you’ve never tasted a potato fresh out of the ground, you’ll be completely blown away. September means one thing. No, not back to school… Apples! At Great Country Farms, it means we’re getting out our antique cider press and picking apples. Enjoy fresh cider making demos and apple wine tastings, and try out the corn maze. Our corn maze and Lucky Duck Giant Pumpkin Drop support Boulder Crest Retreat for Military and Veteran Wellness right here in Bluemont. Summer heat is fading away and that deliciously crisp breeze is telling us that it’s time for the Pumpkin Harvest Festival. Pick your own pumpkins and apples or get lost in a corn maze while you savor our famous cider donuts. If you’re up for real excitement, shoot pumpkins from a cannon, feed P-Rex, the pumpkin munchin’ dinosaur, or pick the winning pig in the annual running of the swine at The Oinkintucky Derby Pig Races. Don’t forget to greet the Pumpkin Princess who presides over all. Halloween is over, but the fun is still going at Great Country Farms. Your old jack-o-lantern will be a smashing success on the Silo Drop, the Zip Wire Sploosh or the 40-foot Pumpkin Drop Zone. And don’t miss the grandest splat of all – the Lucky Duck Giant Pumpkin Drop to benefit Boulder Crest Retreat. Time for some Corn Hole for a Cause! 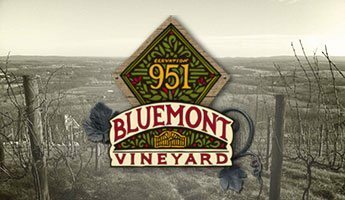 Join us for a Corn Hole Tournament fund raiser at Bluemont Vineyard. Get your team together and Register today!